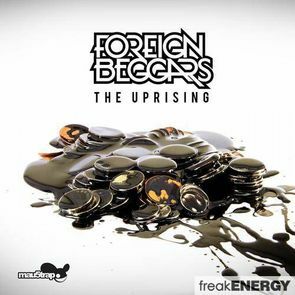 Today's delivery is brought to you by Foreign Beggars. This group has been making music since the early 2000's and you'd be hard pressed to quickly identify their sound, which has evolved over the years. They originally showcased their hip-hop roots but eventually crossed over into the electronic/grime realm, but ultimately, they've still maintained their own flavor. They just recently released their album, The Uprising, on Deadmau5's mau5trap label. The album is great but I have to admit that I wasn't expecting to find any "chill" tracks in the bunch – then I stumbled across the track "Flying To Mars". I should have known what I was getting myself into from the title alone. The track straddles on the border of chill and crunk but is able to maintain a relatively trance inducing sub bass sound. Check out the track and chill….